Is there a unique Chinese approach to international relations, and if so, how does Chinese strategic thought affect contemporary Chinese conceptions of international order and foreign policy? How does China perceive the present international order? What are its strengths and weaknesses? What kind of international order is being envisaged by China’s leaders, and what ought to be the characteristics of such an order? 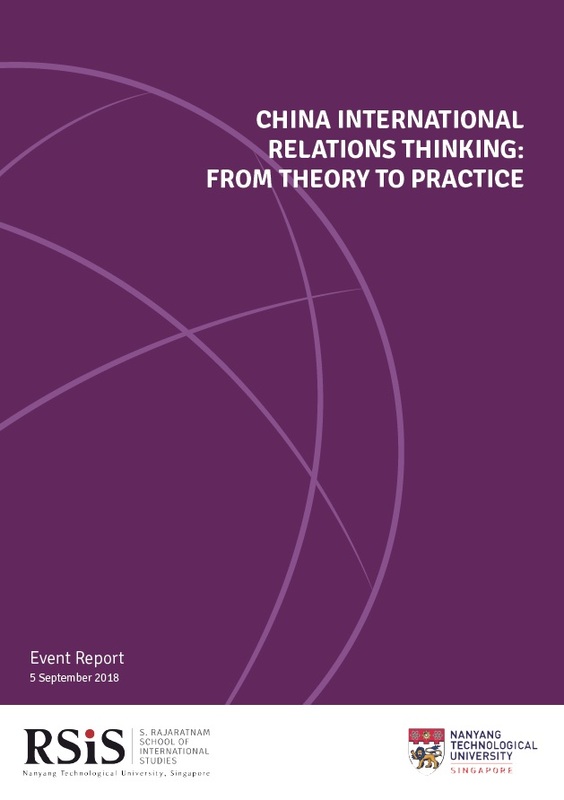 These questions among others were the focus of the China Programme’s September 2018 workshop, which brought together a diverse group of 12 scholars from China, the US, the UK, Australia, and Singapore. It was shared that China’s foreign policy behaviour was shaped by its threat perception and cultural impact on the ideational level, which resulted in a combination of realpolitik and Confucianism. Hence countries which seek to engage with China ought to encourage Beijing to follow the Confucian tradition in pursuing non-violent and peaceful policies, especially towards security and territorial disputes, instead of pressurising China as it could lead to conflict. It was also observed that the fundamental character of international politics was undergoing tremendous change due to globalising forces and hence there was a need to rethink ways in which Eastern and Western civilisation can co-exist peacefully together. Given ideological differences, there is a need for scholars to find common ground and engage with one another and to source for universal values that could bind and bridge the different perspectives of the East and West. Regarding China’s political worldview, the deep and pervasive influence of President Xi Jinping on China’s international relations cannot be ignored. It was argued that President Xi and the Chinese Communist Party had drawn upon three key ideas in articulating Chinese views on international order: (i) national rejuvenation; (ii) global community; and (iii) Chinese contribution. The combination of all three ideas has subtly influenced Beijing’s policymakers, thus resulting in a new Sinocentrism and China-centered world order. Notwithstanding China’s ambition to be a great power, it was also observed that China – in its various international undertakings – has more modest objectives, and that it is learning from experience and doing what works. In this respect, it can be said that China’s international behaviour is more in line with middle power practices and not those of a super power. Paradoxically, it appears that China has had more success in niche areas such as peace operations as compared to more traditional undertakings associated with major powers. Within the Asia Pacific region, China has had the desire to play a leadership role given its historical status as a predominant power in East Asia for a long time. Hence, it tried to use economic power to expand its influence in Asia while reassuring its neighbours that it will be a peaceful regional power that can provide other countries with opportunities to prosper. Given the present preponderance of American power in the region, China is anxious that it might be encircled and that its territory might be encroached on. While Beijing frequently expresses its frustration towards American alliance in Asia, it does not provide alternative security arrangements that could realistically replace the existing system. China’s rising regional power has raised questions on the future direction of regional order in East Asia, especially as China and the US’ conceptions of regional and global order come into conflict. Given this, there is an urgent need to develop alternative understandings of how great powers might come together to find mutually acceptable roles for the other in the building of regional order. The notion of coalition hegemony thus represents one possible approach in which both Beijing and Washington – despite competing visions – can still cooperate in pragmatic and mutually acceptable ways.